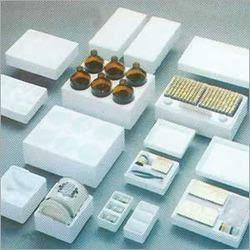 We are counted amongst the leading manufacturers and suppliers of this highly commendable Thermocol Packaging. Known for its usage in protecting fragile and delicate products from getting damaged, the offered material has a high preference in the market. In addition, the offered product is known widely for its superior effectiveness. Established in the year 2013 at Mumbai (Maharashtra, India), we “Mahalaxmi Enterprises”, are a Proprietorshi firm recognized as the noteworthy manufacturer of an exclusive range of Thermocol Packaging Products and Foam Packaging Products. O Under the guidance of, “sachin Patil” we have been able to reach the pinnacles of success.